In Belarus, as in other countries, you can buy goods, fuel, pay utilities using e-money. It should be borne in mind that these payments have the specificity due to the peculiarities of the Belarusian legislation. 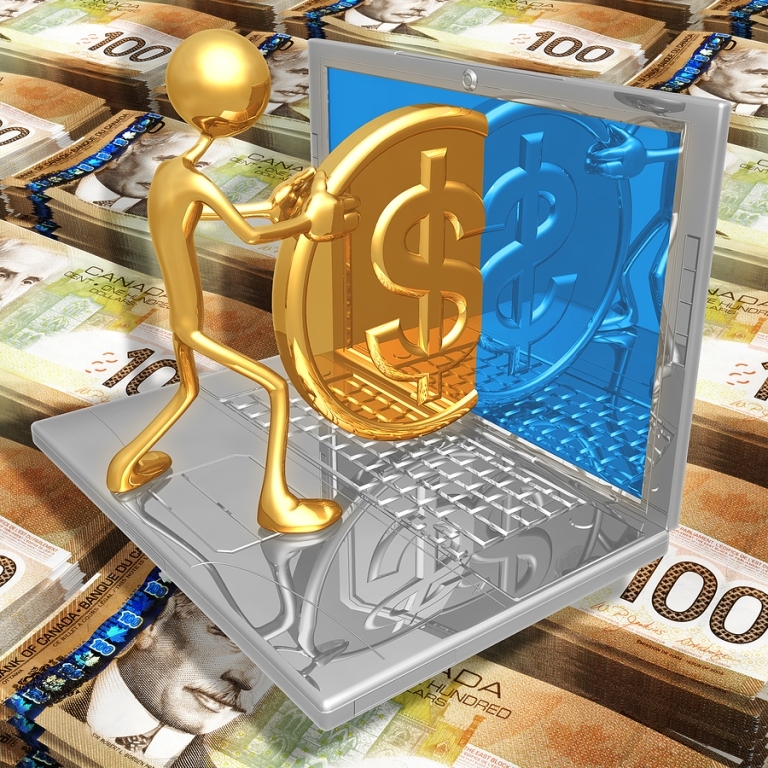 The main feature - internet money in Belarus can be nominated only in Belarusian rubles and banks-issuers (acquiring banks) strictly adhere to this rule. E-money can be purchased both in the banks-issuers and in their agents. In Vitebsk, you can use six official payment systems that allow transferring Belarusian cash into electronic form and vice versa. Popular Russian WebMoney Transfer payment system has been operating in Belarus since 2006. In Vitebsk, as well as throughout the country, WebMoney is supported by JSC "Technobank". WebMoney can pay special units WMB, which are equivalent to Belarusian rubles. • In JSC "Technobank" branch in Vitebsk, located in Chapaev str., 16 (show on OpenStreetMap). • With "scratch cards". Maps can be pre-purchased at the branches of JSC "Technobank", as well as in multiple access stations of PUE "Beltelecom". These cards are issued in denomination of 25 000, 50 000, 100 000, 250 000 Belarusian rubles. • At any post office. • In any Belarusian bank, using a money transfer service. • In many ATMs and self-service terminals. While performing operations the bank will charge a commission to you: the input or output of the system its size is equal to 3% of the amount, and while transferring money from one e-purse to another the service commission will be 0.8%. If your WM-purse has a personal certificate, the money can be entered from any Visa or MasterCard banking card. WM-purse personal certificate can be obtained in "Technobank" office in Vitebsk, located at: Chapaev str., 16. The rules of obtaining the certificate can be found here: http://wmtransfer.by/attestat_phys.asp. If you have a WebMoney purse, you can easily pay for various goods and services, keeping the house. The full list is available on www.wmtransfer.by. First Belarusian payment system EasyPay is supported by JSC "Belgazprombank" and LLC "Open Contact". With an EasyPay purse you can make purchases in Belarusian e-stores, pay for not only mobile operators, and Internet service providers, but also cable and satellite television services, hosting providers and domain registrars. With EasyPay you can easily pay for utilities and insurance, and also purchase tickets for cultural and sports events. • The money transfer to other EasyPay purses is performed for free. • In JSC "Belgazprombank" branches in Vitebsk, which are located at the following addresses - Y.Kupala str., 2/44; Moskovsky ave., 70; Frunze str., 81. • In any branch of RUE "Belpochta". • In branches and ATMs of JSC "Belagroprombank" and JSC "Belinvestbank" and also in ATMs of JSC "BPS-Sberbank", and self-service terminals. • With online banking or SMS banking of many Belarusian banks (JSC "Technobank", JSC "Alfa-Bank" Bank "Moscow-Minsk", JSC "BelSwissBank" and JSC "RRB-Bank"). EasyPay payment system provides a banking commission - for transferring money to a bank account, and to a plastic card you will be charged a fee of 2% of the payment amount. Adding money is not imposed by the commission, provided that you complete you wallet in Belgazprobbank offices, by means of a card issued by this bank through an ATM, as well as at a post office. Adding money to an e-wallet in other banks the commission will be 1-3%. For more information about EasyPay system please visit the official site easypay.by. • Services of customs agents. Berlio card offers a number of advantages for you. First, you can not only choose the type of a card - diesel, gasoline, or universal, but also set a daily or even a monthly rate of fuel consumption. Second, you will online receive a report on the sale of the fuel with the following information: filling station, the unit number, date and time, type of fuel, the quantity and the price. Regular customers with a turnover of more than 5000 liters per month, get the fuel credit. That is, you pay twice a month upon the consumed fuel. You can get a card in "Berlio Vitebsk" centre, located at the address: Vitebsk, Kuibyshev str., 28/1, r.8, 9. To fill up the card balance is easy - it is necessary to pay the necessary amount to the cash department of "Belgazprombank" or to make a money transfer to the account specified in the contract in any other bank in Vitebsk. For more information about the system please visit berlio.by. iPay is a young and dynamic payment system of JSC "Trust Bank". Today it is the easiest payment system: to use it, you no need to start a personal wallet - all payments are performed by sending an sms-messages, or through a personal account on the system website. The money to pay for goods and services are written down from a positive balance on your mobile phone MTS and Life. The only restriction in iPay payment system - the account should be contain more than 5000 rubles after the payment. Today, iPay system allows paying over 3000 services: mobile and fixed communications, Internet access and commercial television, as well as utilities, hosting, information and educational services, games and entertainment. With iPay you can buy goods in e-stores, pay fines, apartment security and even credits. If necessary, each payment can be documented. Moreover, the service memorizes the history of operations and later on you can make payments on "one-click". You can pay for your services having a positive account balance. Payment is made either on ipay.by or on the sites of the partners of the mobile payment system. The only limitation - service is not available for subscribers of corporate tariffs. While using iPay payment system, the user is charged a fee, the amount of which can be up to 4.5%, depending on the selected service. For more information please visit ipay.by. In Belarus several payment systems are officially operating also. "Joint system of instant payments" (www.osmp.by) of JSC "Paritetbank" operates for payment through cash-in, Credex PayNet (www.paynet.by) JSC "Credexbank" is also based on the receiving money devices. 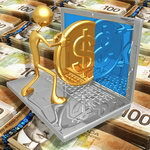 Moneybookers payment system (www.moneybookers.com) is popular among players in online-casino. Moneybookers system theoretically operates through any banks that are part of Society for Worldwide Interbank Financial Telecommunication (SWIFT). This e-money can be used in Vitebsk, but their value in circulation of e-money does not have a determining role.